it really was. she spent a long time and a lot of thought creating this place for him. I hope that both you and the rhino are recovering well from the agony of de feet. This is absolutely the most heartwarming thing. Delightful. the interesting thing to me is that the kinder just KNEW what was right: wood, stone, shades of brown. When I went to art school the profs cracked my head trying to make me define all that; when I just knew, and then they made me forget. Compassion with a flair for creative comfort. 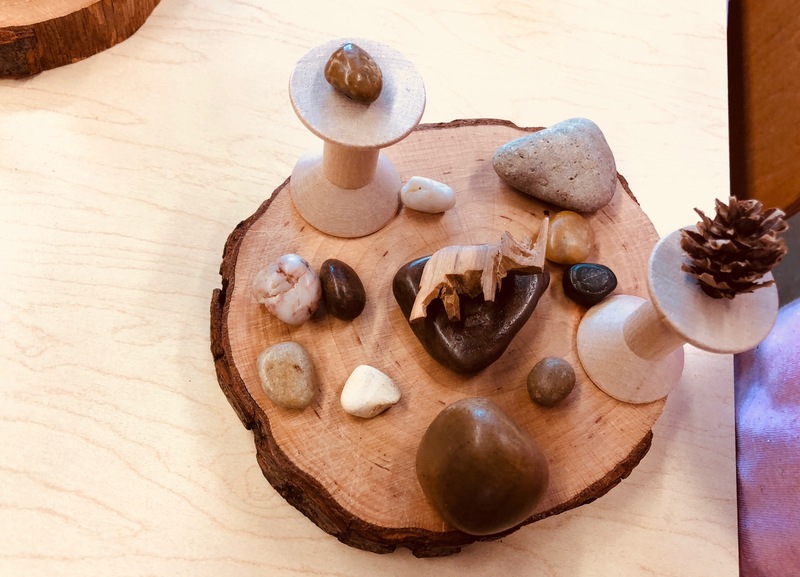 What a lovely setting little kinder did create. A great message indeed, for all God’s creatures great and small. This child knows that creatures who are hurting need more than just a bed. They need a healing environment. I see an innocent Feng Shui in this arrangement. What a compassionate healer. The world can always use more such people. May she live long and heal many. Absolutely true. This speaks volumes, loud and clear. Of course, it was creative of her! Young ones are great about compassion, aren’t they? My youngest daughter always kisses her animals liberally when she finds they’ve fallen off her bed during the night.